All in one car seat The My Size™ 70 holds a rear-facing infant from 4-40 lbs. and forward-facing child in its 5-point harness from 20-70 lbs. The My Size™ 70 is a Houston All in One Car Seat Rental that holds a rear-facing infant from 4-40 lbs and a forward-facing child in its 5-point harness from 20-70 lbs. Thus, it easily grows with your child with the Simply Safe Adjust™ harness system, which automatically adjust both your harness and head rest height. 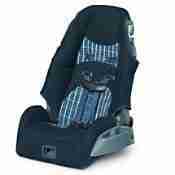 This car seat also offers Graco’s exclusive InRight™ LATCH system for one-second LATCH attachment. 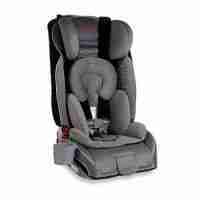 Houston All in One Car Seat Rental also features EPS foam, a removable head/body support, three recline and two buckle positions to keep your child snug and secure. This seat is Safe Seat Engineered which includes Side Impact Testing. Everyone loves the one hand harness adjustment, thus no re-threading of straps necessary. 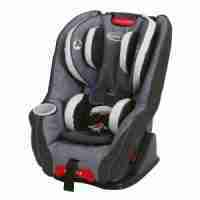 Simply adjust the head rest to the correct position so the shoulder straps are at or just below the child’s shoulders. It’s just that easy! Looking for a rental South of Houston in Galveston County or on Galveston Island? Click here for Galveston Inventory. 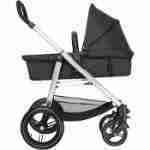 Rear-facing for infants 4-40 lbs and less than 40 inches. Forward-facing for toddlers 20-70 lbs and less than 50 inches. Our cleaning process is extensive and we clean Houston all in one car seat rental shells with a hospital grade disinfect for bacterial, viral, and mold/mildew. Followed by steam cleaning at 160 degrees to assure no bedbugs or lice stand a chance. Thus, our cleaning is superior to any other Houston baby equipment rental supplier. Notify your hotel, AirBNB host, or rental property owner that Rockabye will deliver baby gear for your child(ren) during your stay, therefore ask them to note your reservation. Obtain any specific instructions we will need. 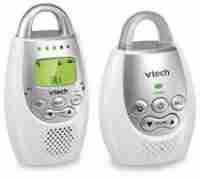 If a property is inside a secure community, we require a gate code or that “Baby Rentals” be added to approved visitors so our staff can access the property. Provide us with any instructions we need from your hotel or host. Additionally, we require a Contact Name and Telephone number in the event there are any issues at the time of delivery or pick up. Third party companies clean or manage AirBNB, VRBO, and HomeAway properties. Provide details in the Notes box in our order form. If you depart prior to pick up, then call to notify us so we can reschedule your houston all in one car seat rental pick up time.